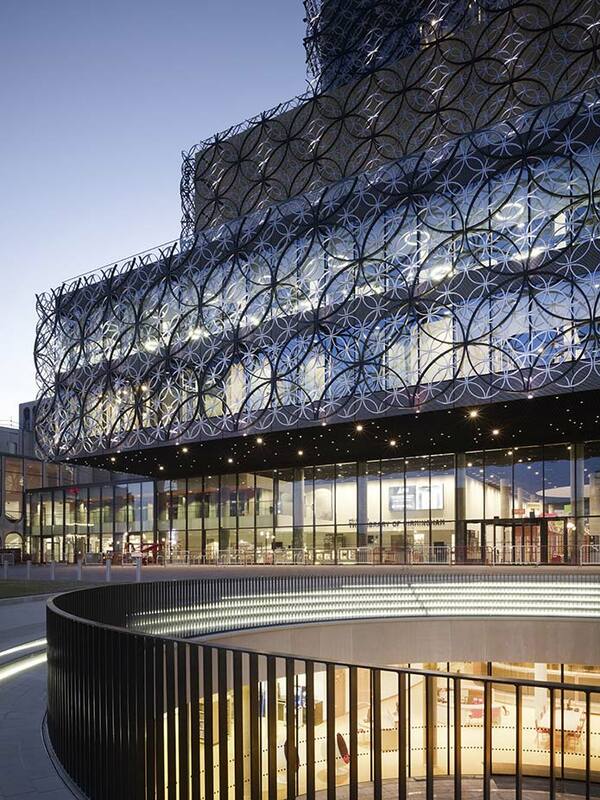 A stunning covering in overlapping aluminium circles is the characteristic of the £193m Library of Birmingham, designed by the Dutch studio Mecanoo Architecten. 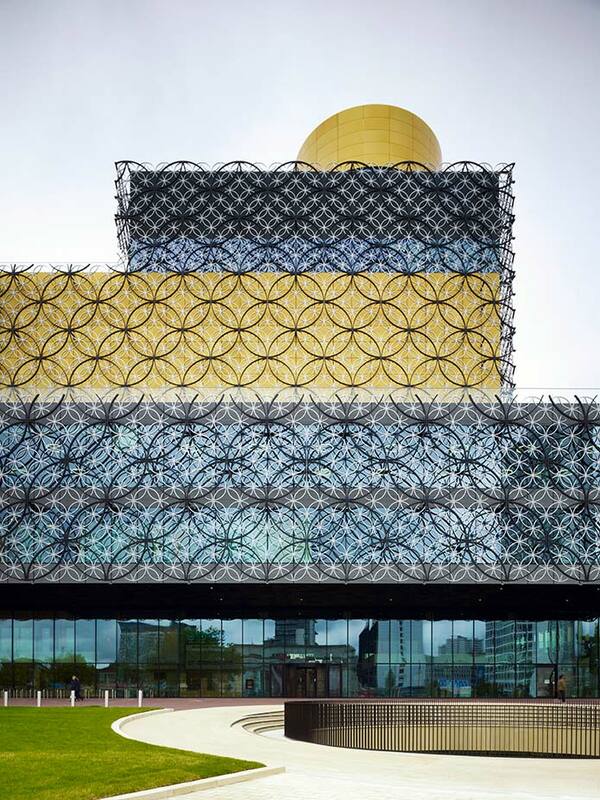 Inaugurated September 2013, the biggest public library in Europe, 35.000 square meters, The Library of Birmingham is a transparent glass building overlooking Centenary Square, the largest public square in the heart of Birmingham. 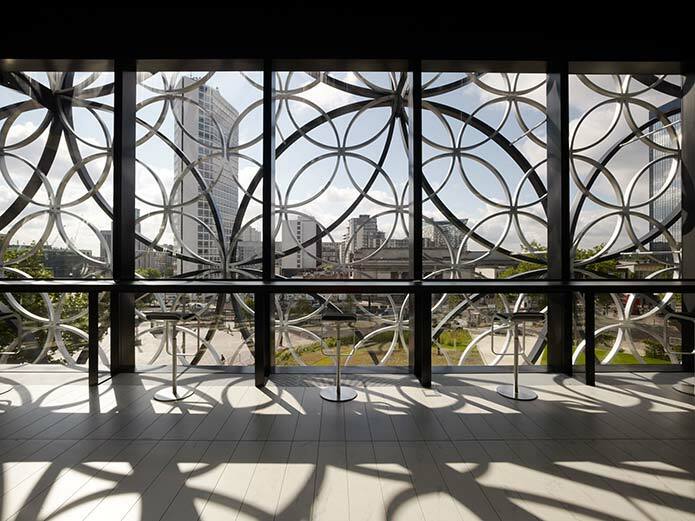 The covering in circular metal filigree honours Birmingham’s long artisan tradition, with a particular reference to the Jewellery Quarter. 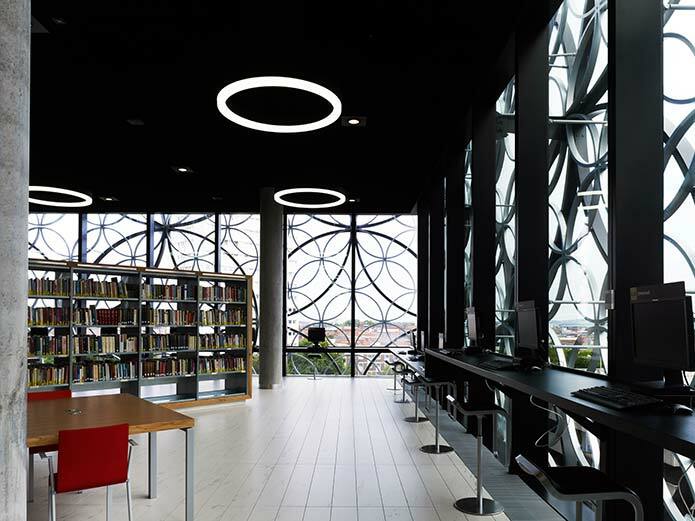 The library’s internal space invites to look upward, following the long escalators. 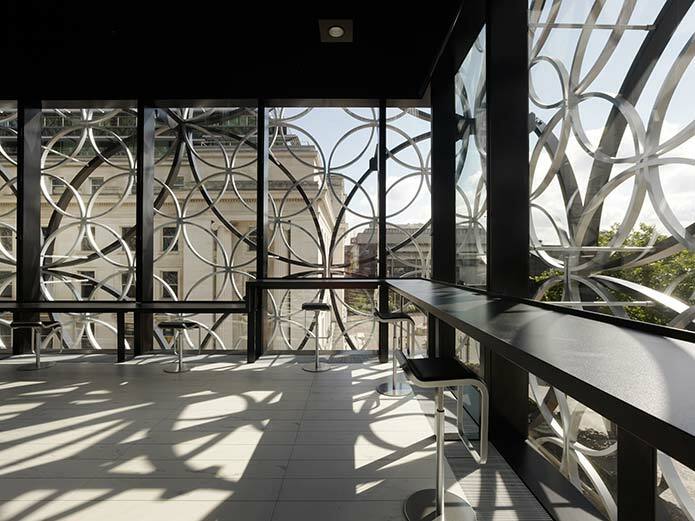 On the second level, bookshelves radiate from the Book Rotunda, a wide, three-storey drum lined with books. 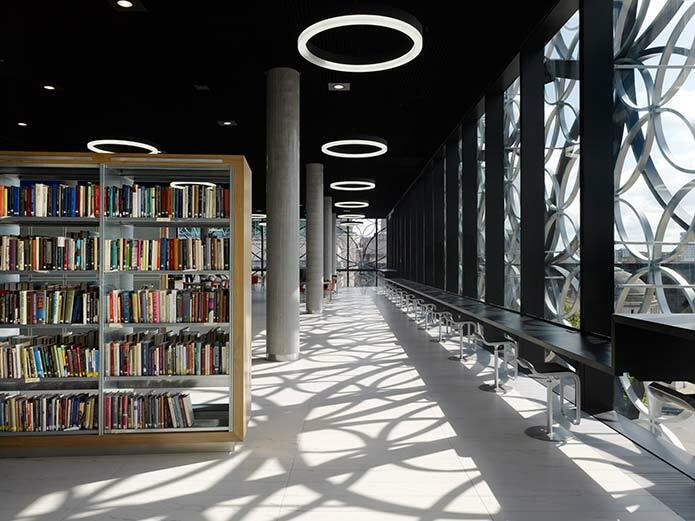 All around the transparent glass facade, wrapping the nine floors of the building, a long shelf is embellished by 154 LEM stools. Their typical metal frame perfectly matches the circle profiles outside. segment, used widely for a broad range of requirements. 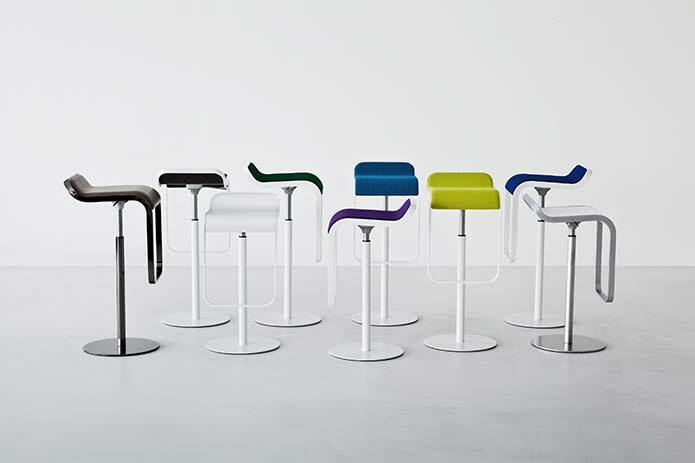 Stool with fixed or adjustable height with swivel seat. 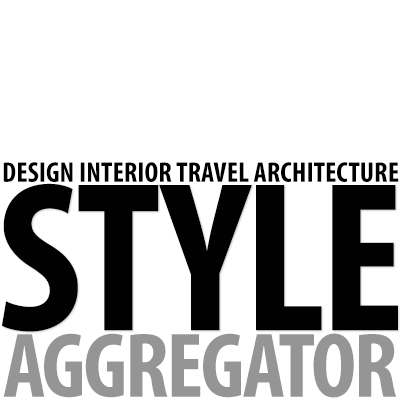 Frame of mat chromed steel, with base covered by a stainless steel sheet with “linen fabric” pattern or entirely white or black powder coated. Also available in black chrome. Seat in several finishes. LEM is also available with “swing-back system” for the seat and floor-fixing base Ø 20 cm. especially suitable for catering and high frequency areas.